With most of the major mountains closing for the winter ski season, it’s time to bust out the summer activities and get ready for warm weather! Breckenridge is already unveiling its clear bike paths that are ready to rip. Grab your bike and check out our list of clear bike paths in Summit County to hit this spring! The Breckenridge bike path is a great ride to take whether you are just beginning or slowly easing into the biking season. This path is moderately flat with some moderate hills. Take this path 1.5 miles from the Breckenridge Rec Center and back or take the 10 miles all the way to the neighboring town of Frisco. This path is clear and dry making it perfect for trail, cruiser’s and road bikes alike. This is a great route to go from Breckenridge all the way to Keystone. This route starts on the Swan Mountain road and then ventures off to a bike path which then takes you into the neighborhood of Summit Cove. This scenic trail is a great way to get the blood flowing and the legs ready for some summer bike rides! This is trail is better for more experienced riders as it this does start out on a road with a significant climb. This route starts the same as the one above. However, this one you may stay on the pass road instead of getting on the bike path and ride the road all the way down to the paved path at stop light and head toward Keystone. This is a great route for all road bikes as most of this trial is on the road however could be done on a mountain bike as well. This trail follows along Lake Dillon. This is a very flat, paved trail. This trail is typically very popular through the warm, dry seasons so watch out for others! Take the entire family or any kind of bike! There is also a bike rental at the top of the hill in Dillon or in town in Frisco. This trail loops alongside Lake Dillon. Make it as long or short as you would like. This trail goes through Dillon, Frisco and Breckenridge and is about 31 miles round-trip from Breckenridge. It includes steep climbs and road-riding so make sure to the bring the road bike for this one. Following the famous Blue River, this paved path is perfect for getting outside and getting the bikes out! This trail is mostly flat and perfect for all bikes and ages alike. This trail starts in at the north end of Silverthorne and is about 3.5 miles ending at the Dillon Dam road. This trail is dry and ready to ride! But be careful, due to high runoff during this season it can get a little wet from the river. Summit county is open and ready for some early season bike riding! If you’re looking for a fun activity to enjoy, or get ready for summer these are some paths that are ready to ride! For lodging deals, click below! We’ve got live music, wine blending, happy hour deals and more! Check out everything going on this weekend. It’s is closing weekend in Breckenridge! 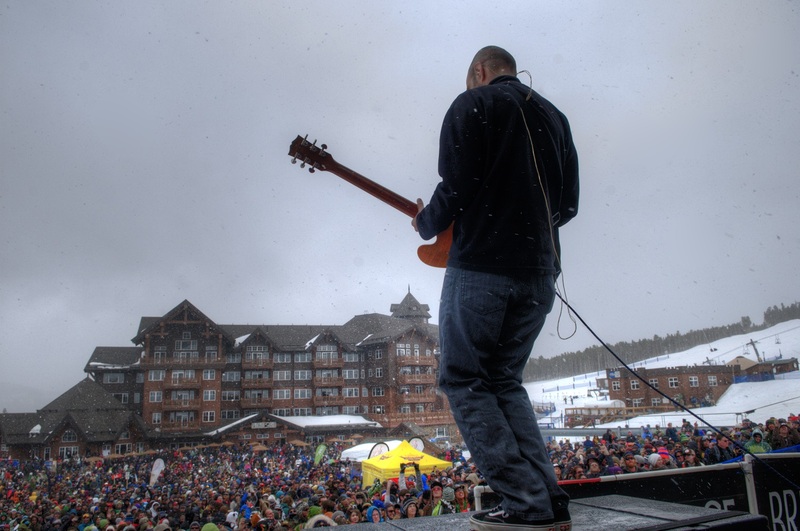 Join us on the mountain for a weekend full of live music, giveaways, sunshine and more! There are tons of fun activities going on in Breckenridge. Click here for more information on all these activities and more! What is a run-cation? It is exactly how it sounds, a vacation where you participate in a running or walking race in a beautiful destination. As soon as you complete your race, you are rewarded with extreme satisfaction and a sense of pride. You participated in an event with hundreds of like-minded, inspired people getting together to support a cause and showcase their athleticism. Not only will you experience internal bliss after completion of your race…Bonus! You just happen to be in a beautiful outdoor destination and you got to experience the location unlike anyone else. Still think you’re not into running or walking at 9,600 feet? Understood, run-cation’s are not for everyone. In fact, you have to be a bit of a go-getter to want to achieve something while you’re on vacation. For most of us, just getting to our destination with our family and friends is an achievement and it is hard to see why we would need to do anything more. A run-cation is about far more than just the run. It is about teamwork with your family and friends, it is an experience that ties you into the local community and allows you to accomplish a goal as an individual or team. If all of the intrinsic motivation isn’t enough to get you to plan a getaway with a goal, think about it this way. The beer always tastes colder when you’re thirsty. The food always tastes better when you’ve worked up an appetite. Massages feel better when you’re a little bit sore. Stress always floats away when you exercise. The outside is always a little more beautiful when the inside is glowing. Oh and tired kids don’t stay up as late. 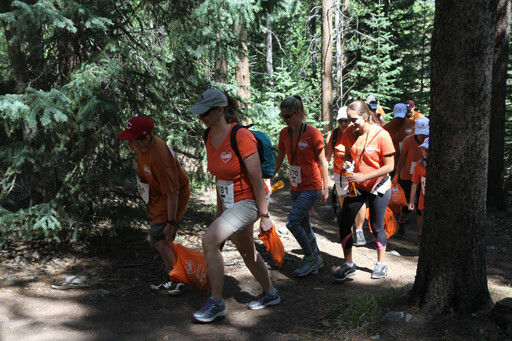 All factors considered, you might just have enough of a case to book your next getaway to Breckenridge to participate in one of the running or walking races this summer! Mark your calendar, make it a goal, rally your team and set out to experience your most satisfying, memorable weekend in Breckenridge! Spring Fever is still going on in Breck with a Park Jam, Easter Egg Hunts and more! Check everything happening below. Spring Fever Park Jam | 12 – 3 pm | Locations varies; Park Lane and Freeway | Breckenridge Ski Resort | Contests, music, free hot dogs, giveaways and more! Check out daily happy hour specials by clicking here. To check this weekends exclusive lodging deal click here!